Do you know… about Mark Twain’s 8 trips to Bermuda and a cat called To-be-or-not-to-be-that-is-the-question-Jackson? Having planned to stay at the Hamilton Hotel, which unfortunately had just closed at the end of the winter season, they decided to stay at Mrs. Kirkham’s Private Boarding House on Cedar Avenue. During the afternoon they began exploring the outskirts of Hamilton on foot and, stopping at a cottage to get a drink of water, they were asked us to sit down and rest. 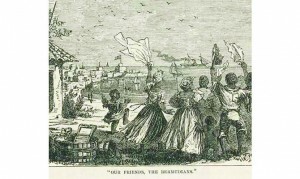 The conversation soon turned to the neighbourhood cats and Mark Twain and the Reverend Joseph Twichell realized that Bermudian cats came with some rather fancy names. One was called ‘Hector G. Yelverton,’ another ‘Sir John Baldwin.’ Deacon Jackson’s cat was ‘Hold-The-Fort-For-I-Am-Coming Jackson’, or perhaps it was ‘To-be-or-not-to-be-that-is-the-question-Jackson.’ Mark Twain used both in Rambling Notes of an Idle Excursion which appeared in four installments in the Atlantic Monthly, greatly increasing Bermuda’s popularity as a travel destination. It would be 30 years before Mark Twain returned to Bermuda for a three day visit in 1907, again with the Reverend Joseph Twichell. 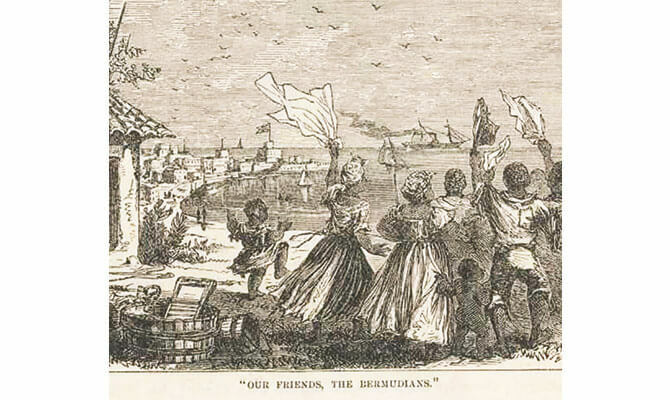 Unfortunately things were not as idyllic as in 1877 and as soon as getting back to New York, he booked another trip to Bermuda – minus his friend. Returning again in 1908, he dined with Woodrow Wilson and his friend Mary Peck. 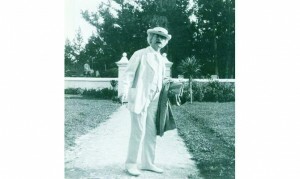 Mark Twain in Bermuda in 1908. In November 1909 Mark Twain returned to Bermuda for twenty-six days but unfortunately his health began to decline. Returning to New York after the sudden death of his daughter Jean on Christmas Eve, he once again sought solace in Bermuda. This final trip lasted ninety-five days and he died just 10 days after returning home. 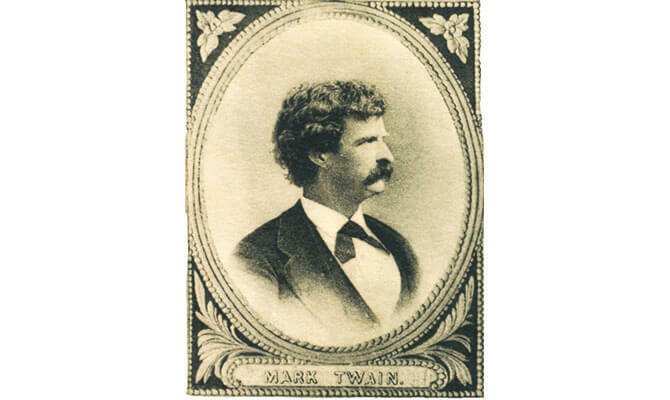 Altogether Mark Twain spent 187 days in Bermuda.